← Two Canadian Chicks Italian Road Trip…day one…. 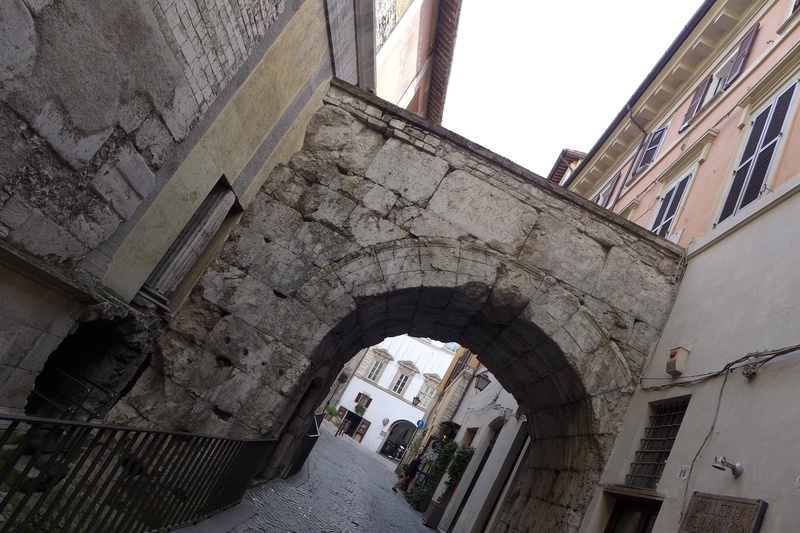 Allora…we had hoped to have a good nights rest after our eventful day one, unfortunately our hotel was very hot and the air conditioner started in the middle of the night, loud rattling noise that wouldn’t stop. Ugh! 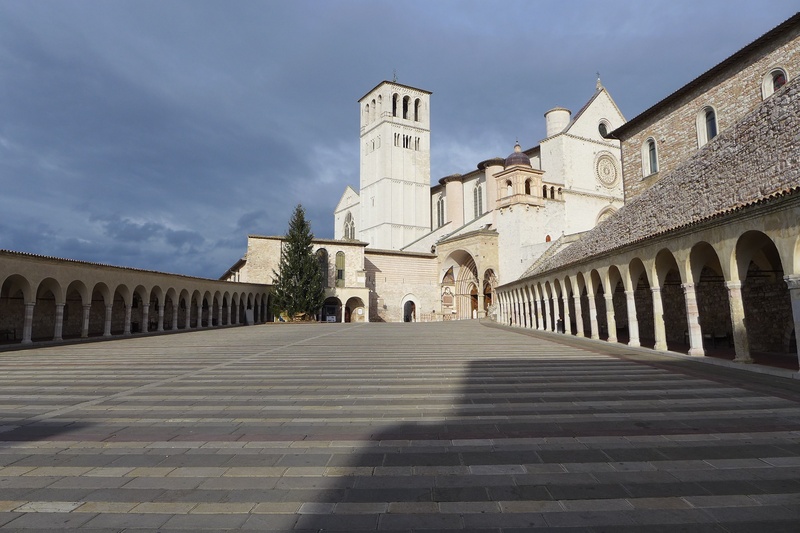 We spent the morning exploring Assisi, it felt a little odd that the town was so quiet. 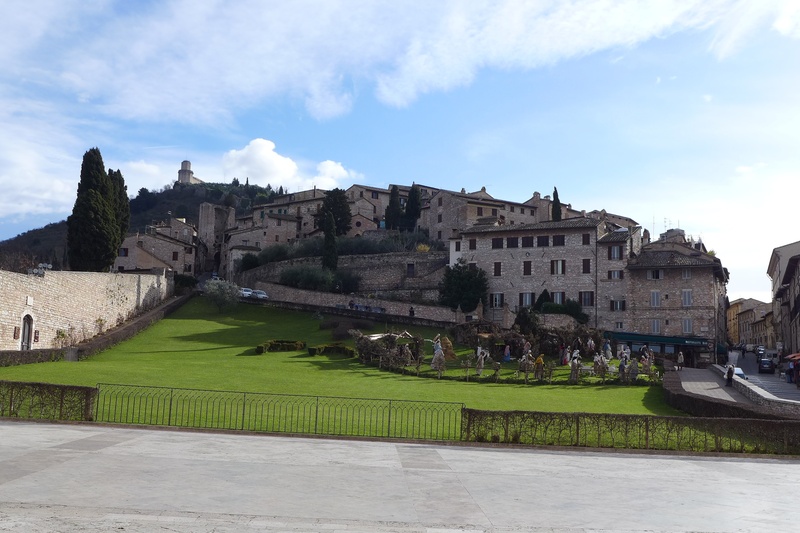 Assisi is a very beautiful town with amazing views. At many times we were the only people in sight. Italy in January has its benefits, no crowds and for Canadians the weather is pretty fabulous. 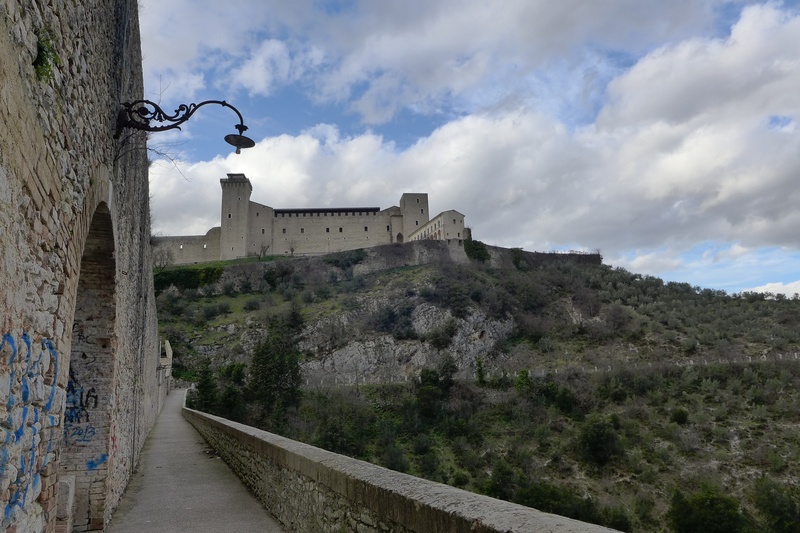 We decided today would be one more stop, Spoleto. 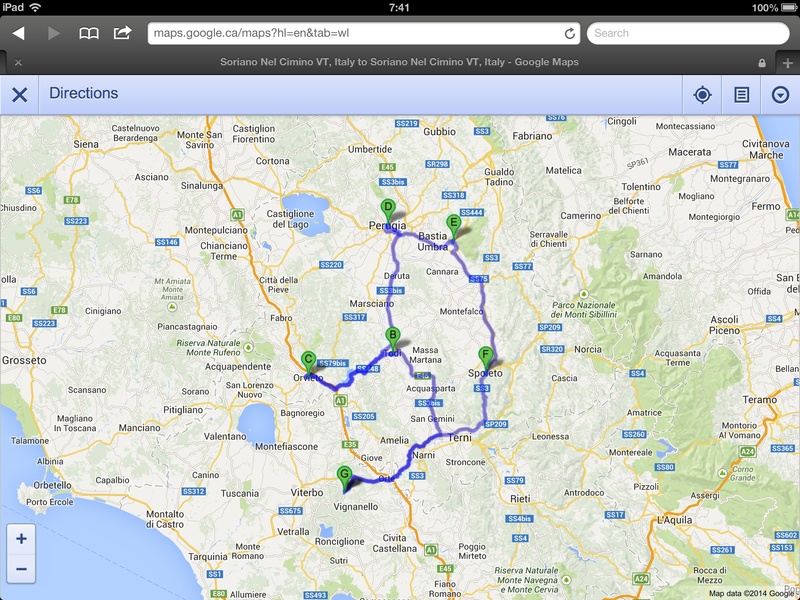 So, we set off to Spoleto for the afternoon. 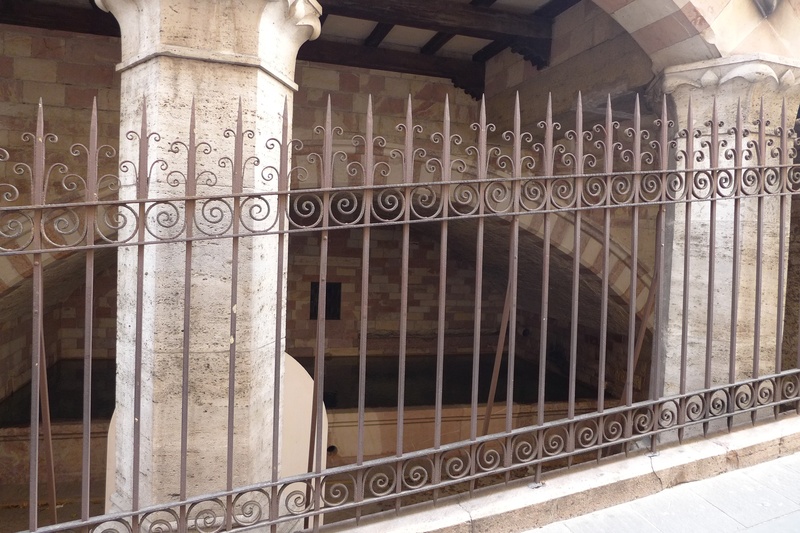 Parked our Benz and took the multiple escalators and one elevator to the top to see La Rocca albornoziana and Il Point delle Torri. The view is absolutely incredible! Then a walk down to town centre to find a place for lunch. 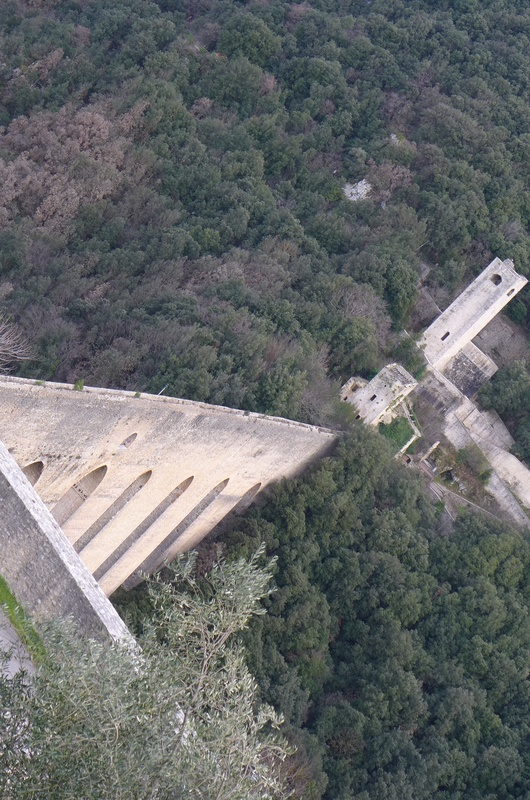 I remembered a few things from my visit to Spoleto a few months ago. 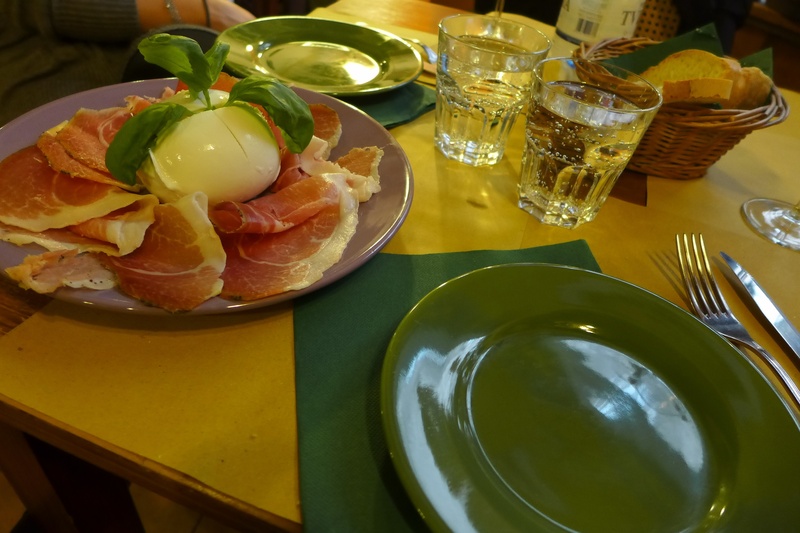 We had a delicious lunch at Il mio Vinaio and couldn’t resist purchasing wine. 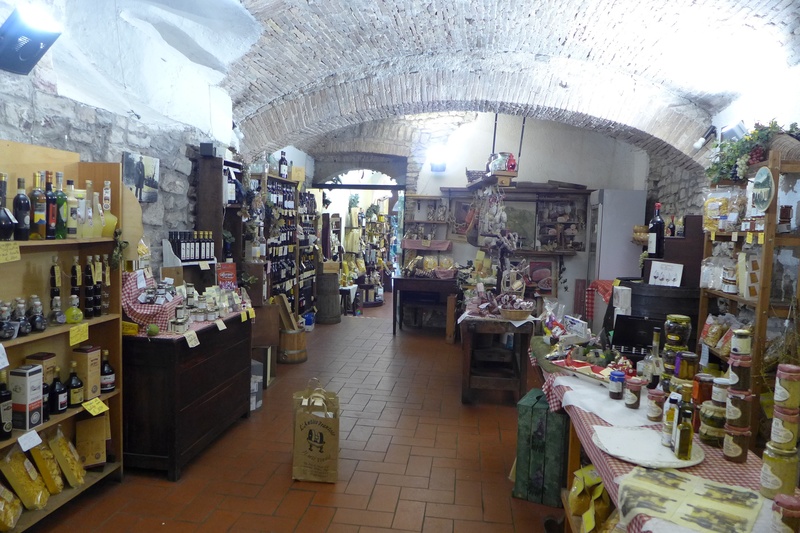 Then strolled across the street giggling to L’Antico Frantoio to see what other goodies we could purchase. This is where we met Sandra, a great lady who was so much fun! We left the store with our arms full of bags! 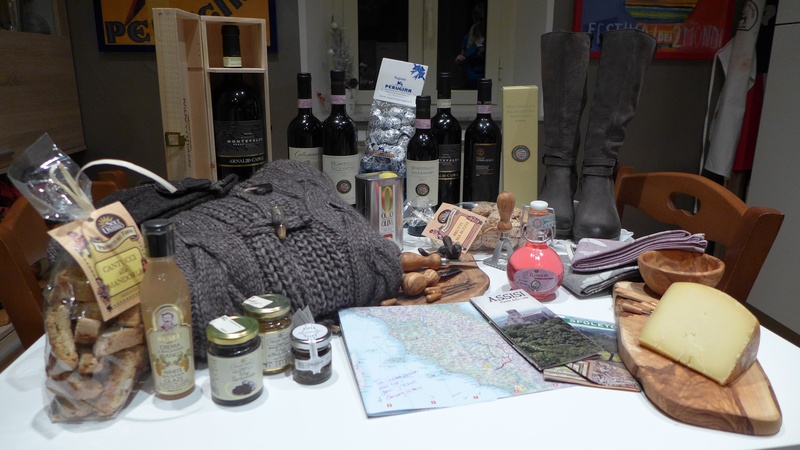 More wine, cookies, cheese, prosciutto, truffle products and grappa! How cool that Sandra is talked about in one of Lonely Planets books on Italy. We had a wonderful time in Spoleto! Back to the many escalators down to our Benz and the final leg of this journey back home to Soriano. Once again Kenny tried to lead us into Soriano the long way, nice to know that I am familiar with my surroundings and knew the way home. Our road trip was fun! We had a great time, met wonderful people, saw beautiful places, and have exciting stories to tell of our Italian Road Trip.